Fishing Lake Métis Settlement is proud to claim several contemporary artists, musicians and artisans among its members. Morris Cardinal has had a long, distinguished career as a visual artist, with his work showing in Alberta and all over Canada. 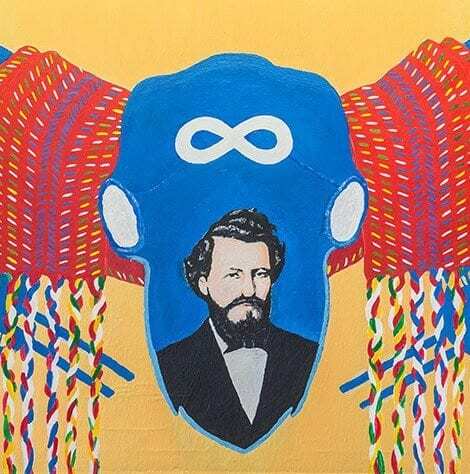 Considered one of Canada’s foremost Métis artists, Cardinal was awarded an Aboriginal Role Model of Alberta Award in 1998 and his work is included in the Aboriginal Affairs and Northern Development Canada Aboriginal Art Collection. Cardinal works in a variety of media and styles. You can see examples of his work here. Shaun Anderson is a musician and songwriter. Check out the title track from his newest album Shine, as well as “Timeless” and more. You can contact Shaun via email here. Fishing Lake member Stephen Gladue is a graphic artist and animator, gaining a reputation in Canada as a talent to watch. His art is featured on the cover of the graphic novel, Moonshot, and he produces animated shorts for APTN children’s series Nehiyawetan. His animated short Kartoonz can be seen on his channel here. 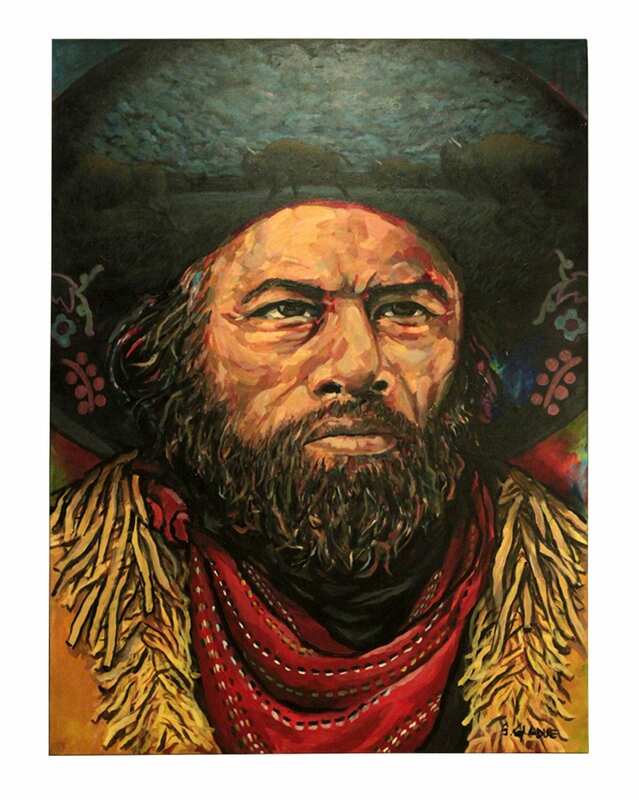 The piece featured here is titled “The Last Rebel.” Prints can be purchased by contacting Stephen Gladue via email here. Leonard McGillis is a talented sculptor from FLMS.